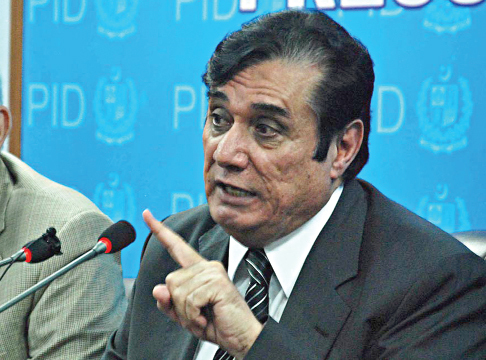 ISLAMABAD: National Accountability Bureau (NAB) Chairman Justice (r) Javed Iqbal chaired a meeting at NAB headquarters on Monday to review the overall progress on corruption-related complaints and measures taken to address these complaints. The meeting was attended by NAB Deputy Chairman Imtiaz Tajwar and Prosecutor General Accountability (PGA) Justice Syed Asghar Haider and other senior officers of the bureau. The NAB chairman said that the priority of the bureau was not only to take action on complaints received from people but to simplify the complaint lodging mechanism so that all complainants could be kept informed about the progress and action taken by NAB. A mechanism should be devised and implemented at the earliest to ensure that no complaint could be closed or garnered without the approval of the chairman, he said. Quick action would be taken on all complaints in accordance with the law, he added. The chairman further said that special cells would be established at NAB headquarters and all regional bureaus. The NAB Operation Division, Prosecution Division and IT cell would devise a joint strategy to ensure early resolution of the complaints.